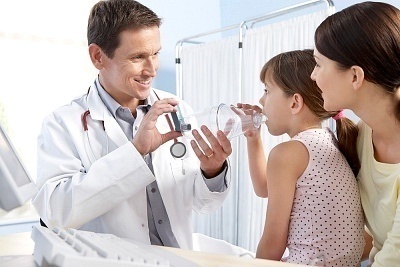 Asthma treatments are divided into long term and quick term relief. Although the ailment cannot be cured, using these medications can control the symptoms. Long term medications include the following. These are the most widely used and have few side effects. Medications include budesonide, fluticasone, triamcinolone, mometasone, flunisolide and beclomethasone. These have to be used for several days before its full effects can be felt. These are oral medications and include zileuton, zafirlukast and montelukast. These medications can stop the symptoms for up to 24 hours. Rare side effects include depression, agitation and suicidal thoughts. Consult your doctor before you take any of these medications. This pill is to be taken every day. They are utilized to keep the airways from closing. The muscles along the airways are relaxed. Medications include salmeterol and formoterol. These will keep the airways open and prevent inflammation. These are administered with an inhaled corticosteroid. Among the most widely used are budesonide and formoterol and fluticasone and salmeterol. Consult your doctor before taking these medications because it may cause severe asthma. For quick relief, any of the following may be used. This is an inhaled medication that can provide quick relief. It works by relaxing the airways, so it is easier to breathe. Ipratropium is mainly used for chronic bronchitis and emphysema. 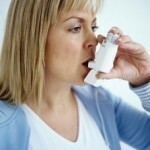 However, this is now being used for asthma too. These are bronchodilators that reduce the symptoms when an attack occurs. These asthma treatments include levalbuterol, albuterol and pirbuterol. These medications will take effect in minutes. They are also good for several hours. These medications also work by removing airway inflammation. Medications of this type include methylprednisolone and prednisone. There are many types of allergy treatments available like Omalizumab (Xolair). This will limit the immune system reaction to allergens. These include dust, pollen, animal dander and others. Other allergy medications include nasal spray and oral antihistamines. Other treatments include ipratropium nasal sprays, corticosteroid and cromolyn. Allergic shots are given once a week for a specific number of months. 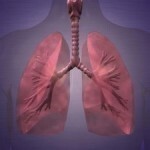 It is not yet known why some individuals are prone to asthma and others are not. But many experts believe it is a combination of the environment and genetics. Among the most common causes are mold, pollen, cockroaches, animal dander and dust mites. Other causes are respiratory infections like cold. Some people get asthma from intense physical activity, cold air and smoke. Other air pollutants may also trigger an attack. Certain medications like aspirin and nonsteroidal anti-inflammatory drugs could trigger it. Other possible triggers are stress, sulfites, too much excitement and some perishable food additives. The menstrual cycle may also trigger the attack. Quick relief asthma treatments are handy, but if the long term medication is working, try not to use the quick relief types too often. Adjustment of long term medications may be required if you need to use short term treatment often.